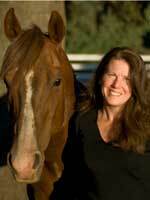 Robin Joy Maxson is a lifelong equestrian enthusiast and horse owner. Robin’s objectives include; securing the rights of horse owner’s, expanding and developing equestrian access to our region’s rural trails and backcountry and advocating for responsible horse ownership. A graduate of the University of California, San Diego, she is active with the UCSD Alumni Association. Robin earned a master’s degree in Education and maintains an active teaching credential.